Korean manufacturer expected to unveil the fifth generation of its range LG G. LG G5 is the first metal unibody smartphone from LG. LG will focus on further improving the camera, It will have a have a 5.5 inch screen. LG G4 was launched in April this year, LG G4 is one of the most anticipated and best Android smartphones of 2015. powerful smartphone, this model available with 5.5 inch Quad-HD display, display protected by the Gorilla Glass 3, Graphic chip Adreno 418, 3GB of RAM and it is powered by the Snapdragon processor at 808 A photo sensor of 16 megapixels with image stabilizer OIS; MSDS a worthy representative of the brand. And a 8 Megapixel front camera. LG V10 a striking smartphone with two displays. Unlike the G4, a new high-end smartphone, the V10 designed with a metal frame. features a 5.7 inches screen, and display protected by the Gorilla Glass 4, and the a 2.1 inches second display with resolution 160 x 1040 pixels, powered by the processor Snapdragon 808 clocked at 1.44 GHz, 16 MP rear camera and 5 MP front camera. 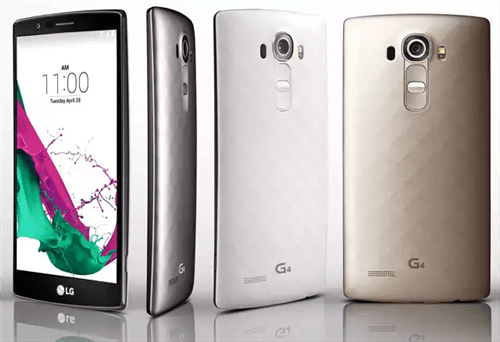 The LG G5 will have a unibody metal design. According to the latest rumors, the company follows the footsteps of Samsung, HTC and Sony. According to the South Korean company, LG G5 will see an announcement in early February, Thus, a head-on collision with Samsung and its Galaxy S7 is expected. The report goes further by focusing on some technical details. LG G5 will come with an iris scanner, but also with a fingerprint reader for providing protection to the mobile user. The LG G5 is expected to come same size as the G4, offering a 5.5 inch display with QHD resolution, which will provide 801 ppi. 4GB of RAM, Powered by the Snapdragon 820 processor clocked at 1.8 GHz. Like most of the future high-end of 2016. For Photos and video chat, It will have a 20 Megapixel rear camera with OIS technology, you can capable of recording videos in 4K, and 8 megapixel front camera. Each year the company offers major improvements in image sensors of its smartphones. Compatible with 4G modem 12/13 category, that supports 600 Mbps speed of download and 150 Mbps speed of the upload. LG G5 can become the first device to use iris scanning technology. According to the latest rumors, battery unit comes with a capacity of 3,000 to 3,500 mAh. What Freshmen Should Do To Make Themselves Technologically Prepared? CIBIL Score and Personal Loan – A First-hand Story!